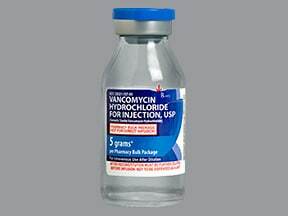 This medication is usually given by injection into a vein as directed by your doctor, usually every 6 to 12 hours. 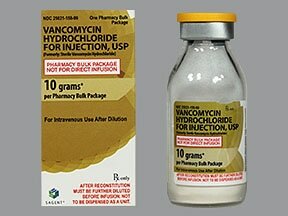 Each dose should be injected slowly over at least 1 hour. 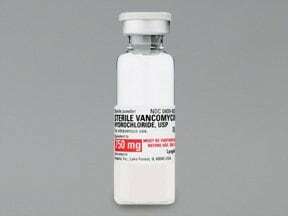 The dosage and length of treatment are based on your medical condition, weight, and response to treatment. 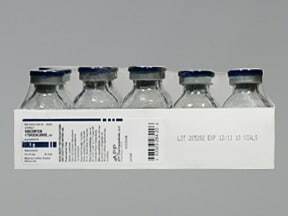 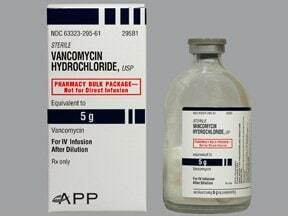 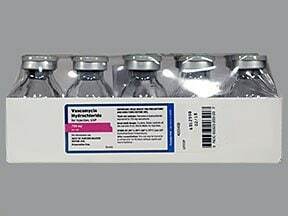 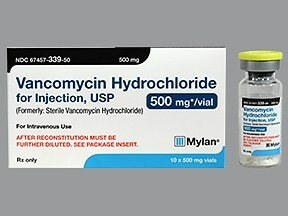 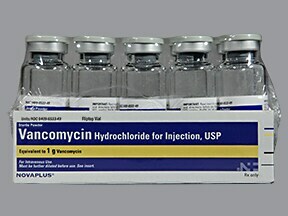 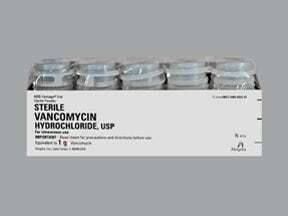 What conditions does Vancomycin HCL Vial treat? 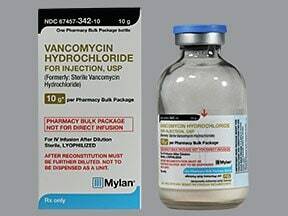 Tell your doctor right away if you have any serious side effects, including: hearing problems (such as ringing in the ears, hearing loss), signs of kidney problems (such as change in the amount of urine), easy bleeding/bruising. 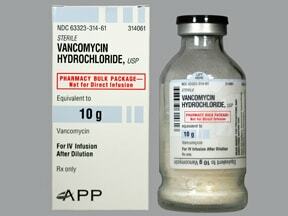 List Vancomycin HCL Vial side effects by likelihood and severity. 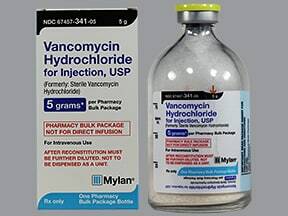 Before using this medication, tell your doctor or pharmacist your medical history, especially of: kidney problems, hearing problems, stomach/intestinal problems. 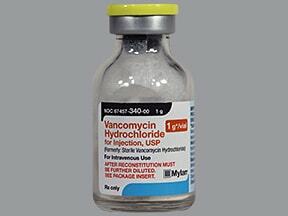 What should I know regarding pregnancy, nursing and administering Vancomycin HCL Vial to children or the elderly? 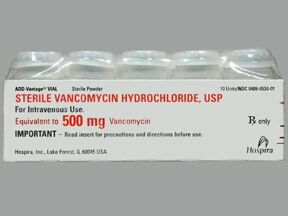 A product that may interact with this drug is: cidofovir. 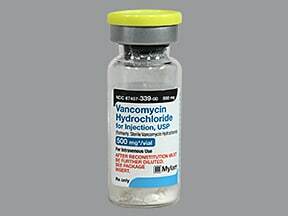 Does Vancomycin HCL Vial interact with other medications? 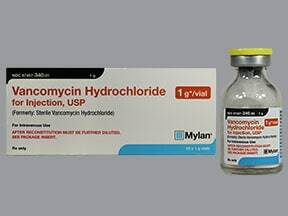 Lab and/or medical tests (such as kidney function, vancomycin blood levels, cultures, complete blood counts) should be done while you are using this medication. 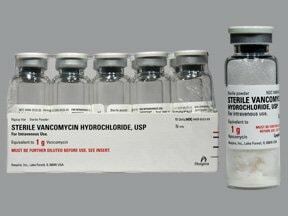 Keep all medical and lab appointments. 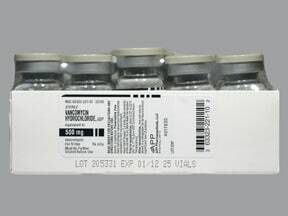 Consult the product instructions or your pharmacist forstorage details. 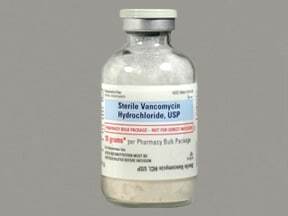 Keep all medications away from children and pets. 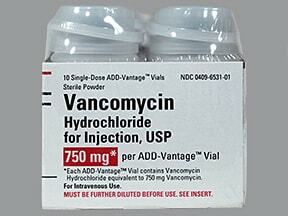 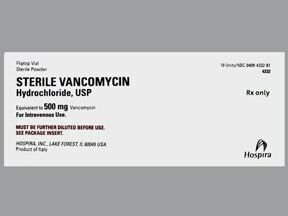 Are you taking Vancomycin HCL Vial? 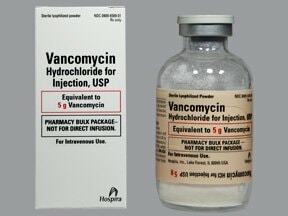 Are you considering switching to Vancomycin HCL Vial? 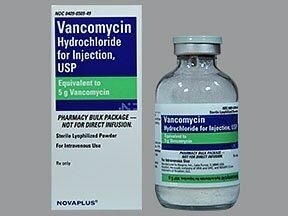 How long have you been taking Vancomycin HCL Vial?